We are incredibly lucky to be located in the heart of Carolinian Canada, the most rare ecosystem in the entire country. These forests weave their way through St. Thomas and into preserved conservation areas. Like tentacles rising up from Lake Erie, creeks and rivers carve out the natural spaces in our City, creating chasms of woodland and keeping nature at our doorsteps. Nestled in the Kettle Creek valley, Dan Patterson Conservation Area is a popular picnic spot that offers an abundance of shade trees, pavilion and playground. Don't forget the trails! They are amazing in the summer and for winter cross-country skiing. Pinafore Park remains a unique spot for recreation and pleasure. Century old pavilions nestled among towering trees provide an ideal setting for family picnics. Enjoy the wildlife sanctuary, playgrounds, trails and more! The Michigan Central Railroad Bridge has stood at the western edge of the city since 1929, a recognized engineering marvel of its day. Today, it remains one of the most iconic structures in Southwestern Ontario. St. Thomas and Elgin offer many picturesque trail options. Explore the trail guides and maps in this section to plan your trip and discover the wonderful nature at your fingertips. Set in a lush valley along Kettle Creek on the edge of St. Thomas, V.A. 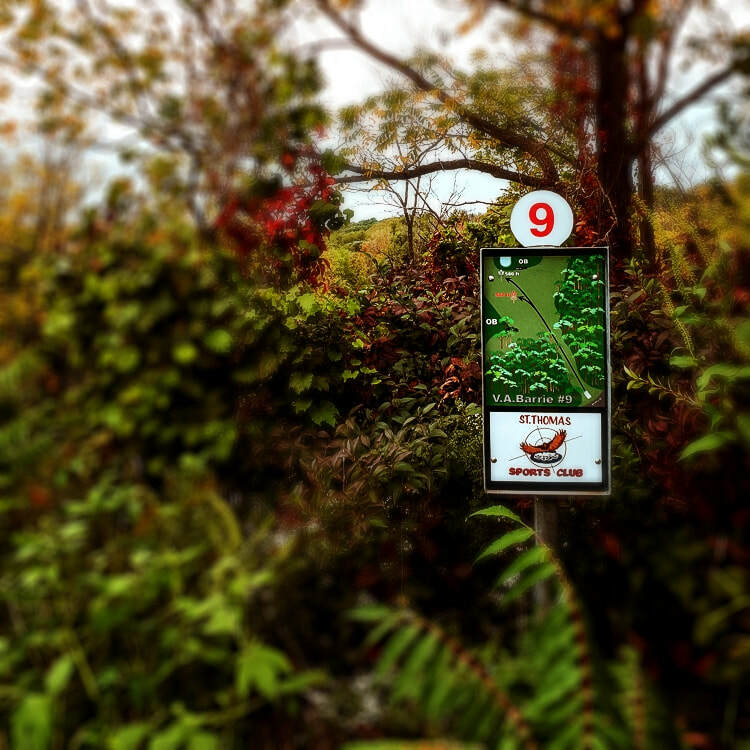 Barrie is a park dedicated to Disc Golf, and does a fantastic job of using every square inch of available land. The first publicly owned park in St. Thomas, Waterworks Park originated in the early 1900s. Today, the park boasts stunning gardens that can be enjoyed in the winter and summer, trails, pavilions, splash pad and berry picking galore!